Birch trees have a regal elegance, and our Birch Trees Die-namics are so versatile! Today we're going to look at a variety of options for creating with Beautiful Birch Trees! Today's video will give you a closer look at how lovely our Birch Trees Die-namics are. Kimberly shares an inventive card with this pretty product! You'll be enamored with her design. Watch the video below or click here (June 2016 Release Class - Peek-a-Boo Birch) to watch it on YouTube. Don't forget to subscribe to our YouTube channel so that you don't miss a single tutorial! I'm going to be honest, after watching this video, I created a card a lot like Kimberly's. It might be one of my favorite cards EVER! Let's take a look at a few examples of some projects that feature our Birch Trees Die-namics. Yoonsun cuts the Birch Trees Die-namics with Kraft card stock and inks them for a realistic look. 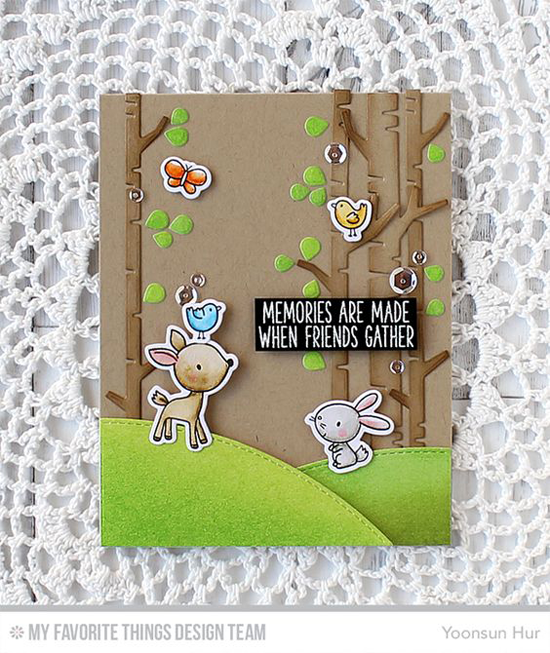 Paired with the Sweet Forest Friends stamp set and Die-namics, it's the sweetest little scene! Keisha's use of the Birch Trees Die-namics oozes sophistication. This design could transfer well into a sympathy card. 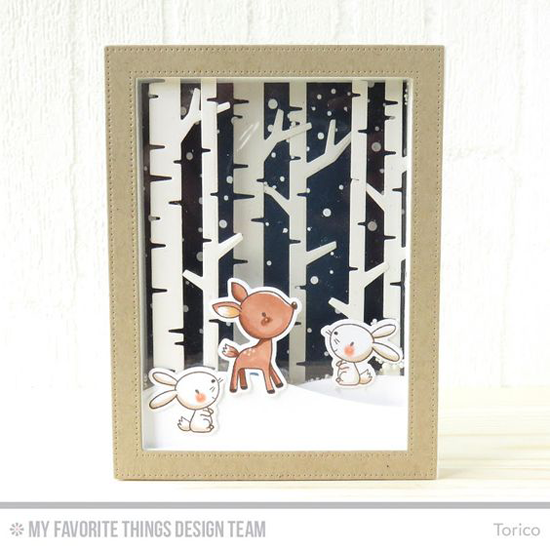 Torico creates an adorable wintry scene with the Birch Trees Die-namics and Sweet Forest Friends stamp set and Die-namics. See how versatile this product is? Adore. You will LOVE playing with the Birch Trees Die-namics. Be sure to tag #mftstamps when you post your projects online. We can't wait to see what you've made! 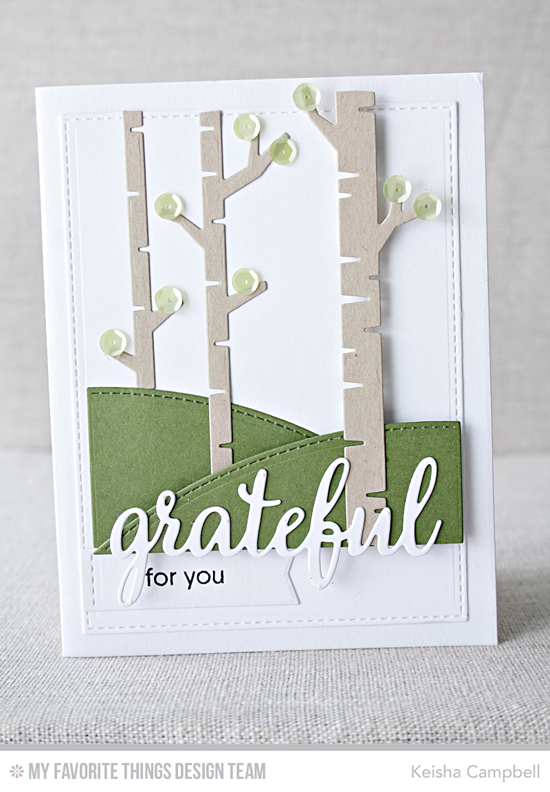 Love these gorgeous cards with that Birch Tree die! Soooo pretty! Love these trees! !